WUNDERKAMMERMUSIK IN 3D is a project that runs from 2011 to 2035/37. In August 2013 I asked Sisi Biedermann who is well known as an artist in ‘real life’ if she would like to present my project “VOLCANO OF ART” in her virtual gallery in Second Life. 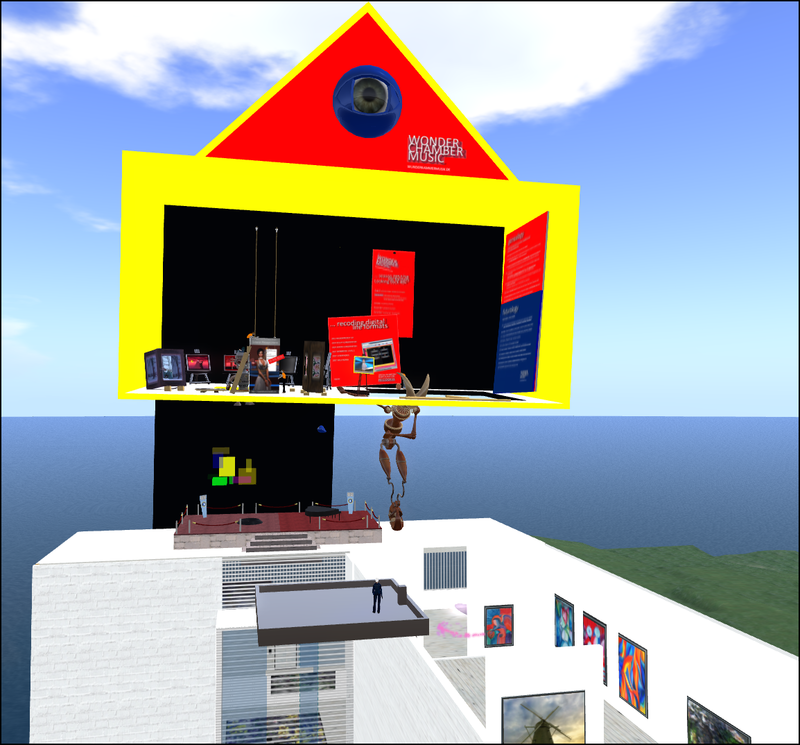 I dont exhibit my own works in SECOND LIFE – I prefer Opensimulator worlds – but many artists who took part in the VOLCANO OF ART are from Second Life. So I wanted to make it easy for them to see what happened with their art becoming a part of WUNDERKAMMERMUSIK. The VOLCANO OF ART is an idea to get a story that spans back in time and forward as well. Collecting Digital Art and place the pieces in ‘some rooms’ is not that much creative. But this is not the place to speak about the VOLCANO. Sisi said: ‘I can do this and let your VOLCANO get presented as I have gifted a piece for it, but first you have to exhibit your works in my gallery’. She knew how to trick me – and I accepted. So this is and will be the only exhibition you see here in SL at Gualdo. [running from 4th September 2013 to end of September]. I will fill this page step by step so it will become a page “of memories”. Please post on this page whatever fits you to be kept ‘for eternity’. BTW I have to mention that Sisi Biedermann´s gallery is very ‘small’ and ‘big’. I explain the problem in terms of Second Life. For every prim you rezz big or small you have to pay rent on a monthly basis. So Sisi could offer me only about 30 prims to use for my exhibition. In Opensimulator worlds I have 30.000 prims. So what to do? I, the great ‘WELTENSCHÖPFER’ [worldarteficer] shall exhibit like a Noob with 30 prims? No ways. I need to develop an idea to get to 1.000 prims out of 30. And I made it, named it SINGLE PRIM TECHNOLOGY. This is a different story, but it started at Sisi Biedermann´s gallery ‘Gualdo’.